We have moved away from license keys to a login system for the browser. Now, you will simply log into the browser and you will be provided access to the browser as well as any premium features for which you hold a license. When you launch Ghost Browser you will see the login screen as shown below. 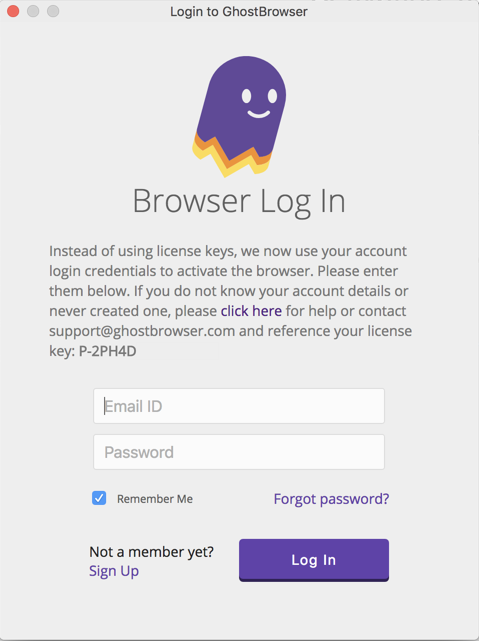 Sign in using the email address and password you used when you creating an account when you purchased your Ghost Browser subscription. If you never created an account please click here to create an account. If you forgot your password please click here to reset it. 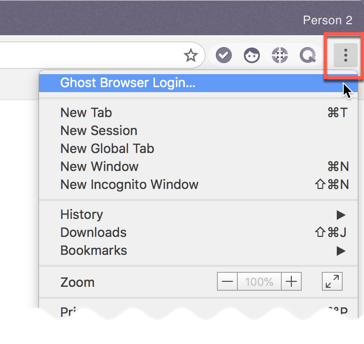 If the login screen isn't appearing, click the browser menu in the upper right corner of the browser and select Ghost Browser Login from the top of the menu, as seen in the screenshot below. If you purchased a premium subscription, the license should have been automatically assigned to the email address you used when making the purchase. 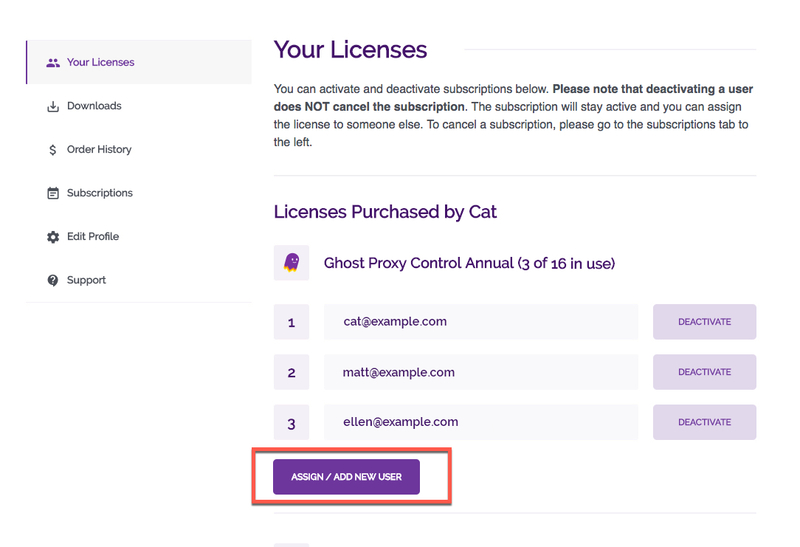 Occasionally, the license is not automatically assigned to you, so if that happens you'll just need to go into your account and assign the license to yourself (or someone else if you'd like) and you'll then be able to use premium features in the browser. Click the Your Licenses tab on the account page. Here you should see the number of licenses you have for each product, and below that the email address tied to that license. If your email is not there please click the Assign / Add New User button. Enter the desired email address and click the License User button. If the email address entered is already associated with an account just follow the instructions above to sign into the browser using that email and the password you used when you created your account. If the email address you entered is for a new user you'll receive an email that will prompt you to create an account, and then you'll use those credentials to log into the browser.